IMTFI Blog: Mobile Money Adoption in Ghana: Why So Long? Following a speech by Ghana’s current Minister of Communication Dr. Omane Boamah, Peter Zetterli of the Consultative Group to Assist the Poor (CGAP) presented the keynote address. While addressing the conference theme in a keynote titled: "Mobile Money in Ghana—Why Has it Taken So Long and Where are We Headed?" Zetterli focused on “illustrating the critical importance of getting agent networks right and outlining the key areas involved in doing so.” Following the keynote address, conference participants have began to engage in panel sessions, research presentations and consumer-service provider interactions to foster a better understanding and awareness and uptake of mobile money. As a segue to a rigorous discussion on the issues underpinning the low adoption rates of MM in Ghana, researchers from Ghana Technology University will discuss the consumer perception of MM; they will contrast the views of the urban poor with that of their rural counterparts. 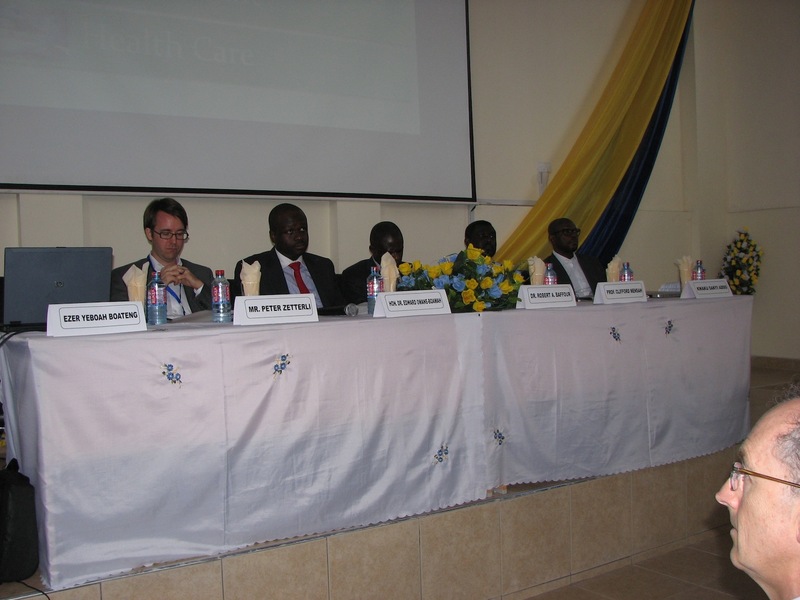 The discussion will build upon preliminary findings from survey data collected in Accra, Ghana’s capital city and Swedru, the capital of the Agona West municipality of the Central Region (about 1 ½ hours’ drive from Accra). The municipal district shares common borders with AkimAkroso of West Akim to the northeast and Winneba of the Effutu municipality to the northwest. The Agona West Municipality covers an area of 667 square kilometers and a population size of 160,000. Trading and farming are the two primary sources of livelihood. Data from Swedru was collected from 100 retailers and 300 consumers as opposed to the 250 retailers and 500 consumers interviewed in Accra. While this data is by no means sufficient to make conclusive judgments about Ghanaians’ perception of mobile money, it is a first step towards providing a sense of the MM landscape in Ghana; further, it aims to provide different stakeholders, especially MM service providers, access to the thoughts, needs, and preferences of their clients. The uniqueness of this conference compared to others cannot be overemphasized. The program is carefully designed to foster communication between service providers, transactional agents, regulators and consumers. Currently, about 144 participants from all walks of life are attending the conference. This includes MM service providers, financial inclusion experts, development agency representatives as well as local market women entrepreneurs, financial operators in the informal sector and other community leaders as well. As we speak, MM scholars are meeting practitioners to increase the awareness of mobile money, enhance consumer knowledge, and improve its usage in Ghana. This conference will be one of a kind!